Is the world going nuts, or is it just me? 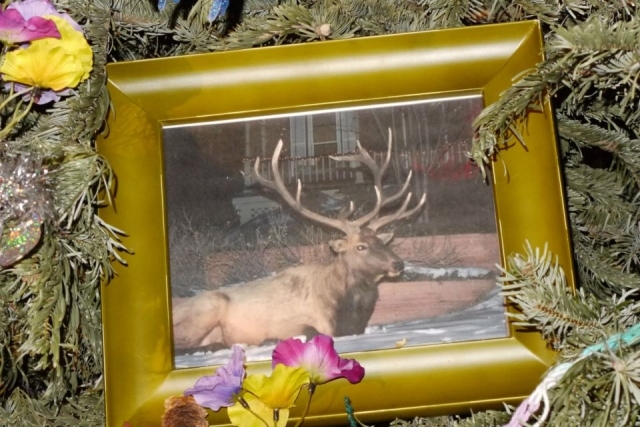 On the news the other morning they reported that several hundred people gathered for a candlelight vigil on January 6, 2013 in Boulder, Colorado for an elk shot by an off-duty police officer. Reportedly the officer saw the elk limping and thought it was injured. The officer is now on leave. The people interviewed were crying over the loss of “Big Boy.” One tearful little girl who held a candle said she hoped the elk went to heaven. We may not all pay homage to, or perform sacred services to an elk, but what created things do we look to, perform service to, and expect to guide us, that are not God, but merely His creation? Lord Jesus, forgive us of our service to, and misguided worship of your creation rather than You, the Creator. Thanks for the like, Hanna.